IRVINE, Calif. – Razer™, a world leader in connected devices and software for gamers, today announced that all Razer’s proceeds from the sale of the game That Dragon, Cancer via Razer Cortex for Android TV will go to two cancer charities, Morgan Adams Foundation, which directly funds cancer research through working with physicians, and Family House SF, which provides free housing to families visiting hospitals in San Francisco to undergo prolonged clinical trials and treatment. The two organizations were selected due to their importance to the Green family. 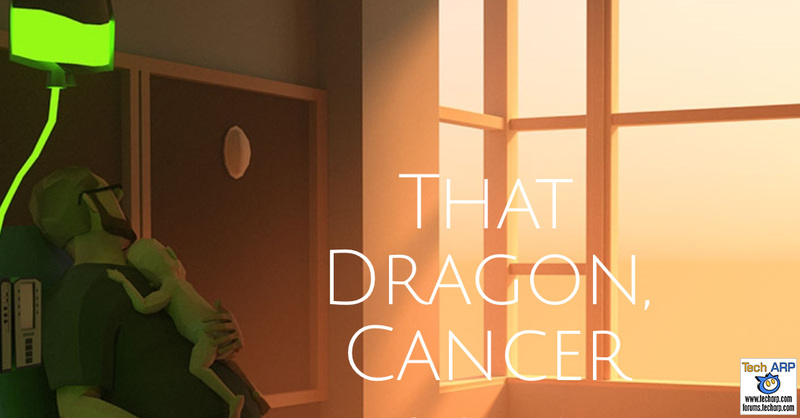 That Dragon, Cancer is an immersive, narrative videogame that retells Joel Green’s 4-year fight against cancer through about two hours of poetic, imaginative gameplay that explores themes of faith, hope, and love. Using simple point-and-click interaction, the player is invited to slow down and immerse themselves in a deeply personal memoir featuring audio taken from Green family home videos, spoken word poetry, and in-game tributes to the loved ones of over 200 Kickstarter backers. Developed by Joel’s parents Ryan and Amy Green, partner Josh Larson, and the rest of the Numinous Games studio, That Dragon, Cancer was largely funded by OUYA, which was acquired by Razer in July 2015 and now provides content for Android TV games via Razer’s Forge TV micro console. Upon its release, That Dragon, Cancer will mark OUYA’s first step into multi-platform game publishing as a promotional partner with Numinous Games for Forge TV as well as on Windows and Mac OS. In celebration of the game’s launch, Numinous Games is encouraging supporters to host a pancake party for friends and family – pancakes were Joel’s favorite food – and post pictures to social media channels with the hashtag #thatdragoncancer. To show its solidarity with the developers, Razer will be hosting a “Pancakes for Lunch” party at its offices around the world and supporting other community parties with giveaways.